Diving in with a startup business without any financial consultation could spell disaster for the future of your company. Make sure you get off to the best possible start with the professional consultancy services for startups at Keith Willis Associates. We’re experienced chartered accountants who provide a personable and professional service to owners of startup companies across Nottingham and the surrounding areas. Having an accountant on hand from the very beginning will help you to avoid those early financial pitfalls, and will help to safeguard a healthy financial future as your company grows. We don’t just offer boilerplate advice; we discuss every aspect of your company with you so we have a full understanding before we get started. Once we know how your company works, your goals and vision for the future, and what financial aspirations or plans you might have, we can build an in-depth plan to help your company find its feet right away. 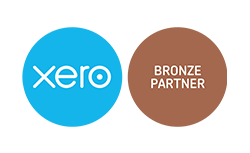 Startup accounting presents a unique set of challenges, and the team at Keith Willis Associates have the experience, drive and knowledge to meet your expectations at every stage. To discuss our startup consultation services with a member of our friendly team, contact our team today.